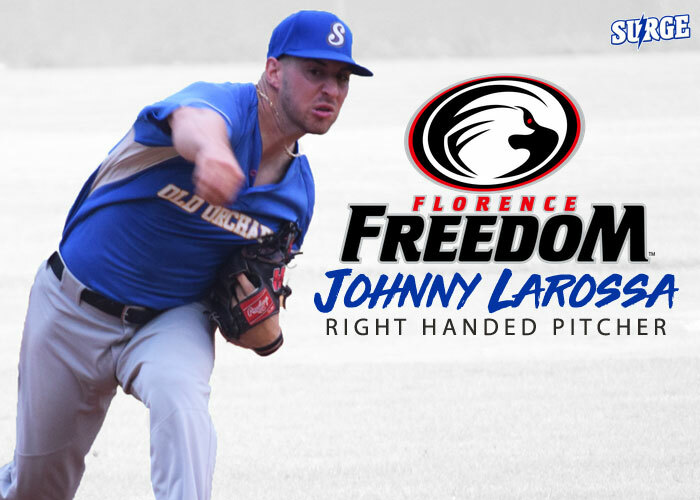 TAMPA, FL – 2018 Old Orchard Beach Surge starting pitcher Johnny LaRossa has signed with the Florence Freedom of the Frontier League. LaRossa was a solid starter in the Empire League is deserving of the opportunity. As a starter, LaRossa posted a 5.45 ERA with a (2-2) record in 38 innings pitched. LaRossa finished with 43 strikeouts.